Finally managed to get to Derriford and take a few photos of the new Marjon Link Road works which are coming along nicely. Looking back up from Derriford Hospital the darker tarmac here is the new part of the road. This will be the exit lane eventually. 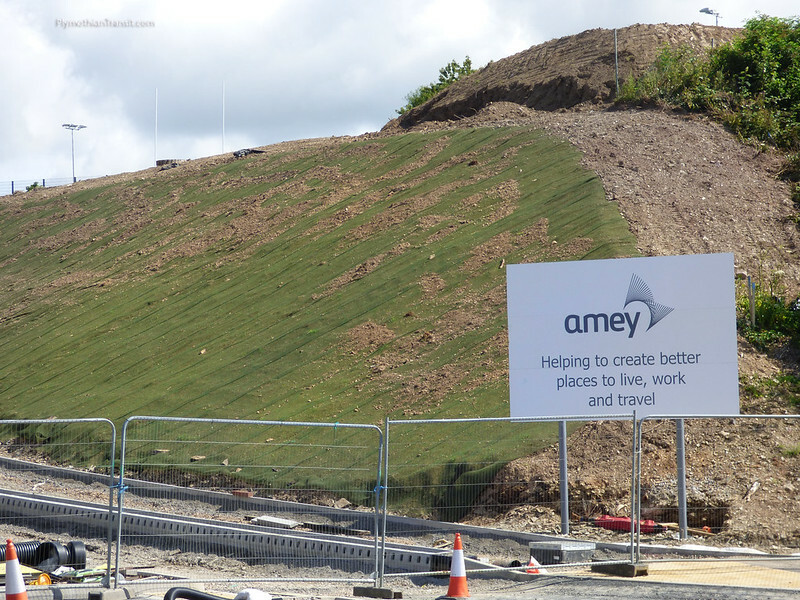 A closer view of the impressive banking which now has this grass blanker to keep everything in place. This has been a major excavation. 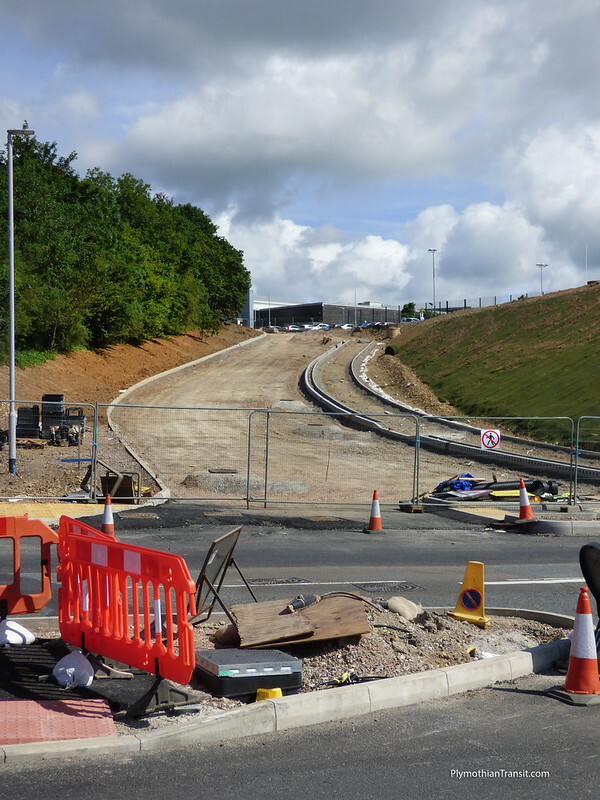 A closer look at the new Marjon Link Road which is rapidly taking shape. 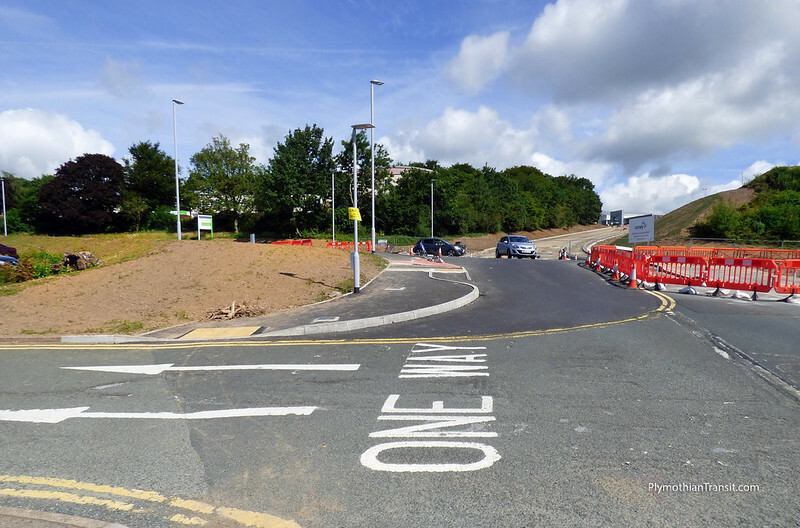 This will be a new two way bus lane which leads up to join the new bus only route through the old Plymouth Airport. Looking back along the main road which is now quite a bit wider. The paths just need the final surface and then the road resurfaced. The new crossroads junction at the entrance of Derriford Hospital. This will be traffic light controlled once its all operational. The main p[art of the junction still to be completed is the inbound lane. The new traffic island on the left is pretty much where the old exit lane used to be. The wall on the right is part of the new Heliport which has just recently been completed.